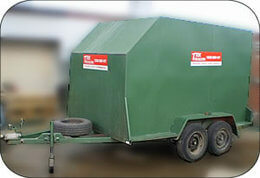 a local and one way trailer hire Brisbane service (in conjunction with SRAC Trailer Hire). If you need a trailer to move interstate or just for local use, we can provide a quality, affordable trailer to meet your needs. Moving house, particularly interstate can be hectic and expensive so we aim to provide you with quality, affordable trailer. Whether you need to remove some rubbish after a clean up or you are moving house, we are your number 1 choice! 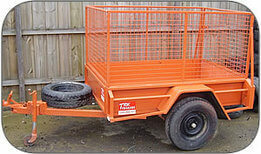 We even hook the trailer up for you and ensure all your lights are working correctly so you can get on with your job quickly and safely. Trailers are available to pick up from our Brisbane or Gold Coast depots and can be returned back to us or dropped off at one of our agents in another location – simply let us know where you are going and we’ll tell where you can drop your trailer off.